The Basketball city of New York will be the host of the first NBA Awards aired live on TNT. Featuring the traditional season awards and also six new categories, determined by the fan voting across the social networks as: the NBA official app (NBA.com), Facebook, Twitter and Instagram. 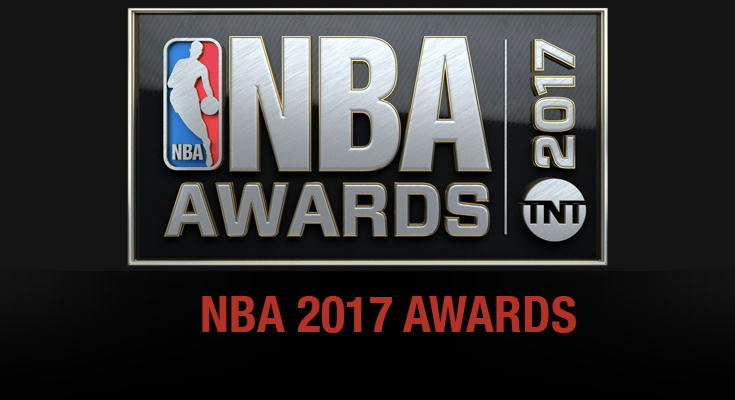 NBA has decided this year to create new categories, so there could be more awarded players and a more active participation of the fans. Last season, the western champion was the Golden State Warriors and for the eastern side, the Cleveland Cavaliers. The title of for the NBA Most Valuable Player was awarded to the Oklahoma City Thunder player Russell Westbrook, winning against Kawhi Leonard from San Antonio Spurs and James Harden from Houston Rockets. The Award for the Best Defensive Player of the Year was for Draymond Green from the Golden State Warriors and Best Executive of the Year was awarded by Bob Myers from Golden State Warriors too. Showing a clear leadership of the team and a strong support from the fans. #BlockOfTheYear was awarded to San Antonio’s player Kawhi Leonard. #AssistOfTheYear was given to the Golden State’s player Draymond Green, Stephen Curry and Kevin Durant. #PerformanceOfTheYear was awarded to Golden State’s Klay Thompson who scored 60 points in three quarters versus Indiana. Rookie of the Year was given to Malcolm Brogdon from the Milwaukee Buck, winning over the two Philadelphia 76ers’ players Joel Embiid and Dario Saric. And finally, the NBA Coach of the Year was won by the 66 years old italian-american Houston Rockets coach Mike D’Antoni. These awards showed the clear dominance by Golden State Warriors.